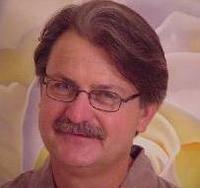 In 1974, Alan Kostelnik founded Pacific Environments, a commercial landscape company. Over the next 25 years, Alan managed and developed Pacific Environments into one of the largest, most successful and diverse landscape companies in the San Francisco North Bay. In 1999, Alan sold Pacific Environments to a large national landscape service provider, TRUGREEN LandCare (a subsidiary of the ServiceMaster Corporation on the NYSE). Since selling my previous company, I have become more sensitive to what attracted me to this business in the first place. First and foremost is the love of being outdoors in nature, helping things grow while realizing an artistic vision. In 2001, I started Gardens of the Wine Country to fill a niche in the marketplace where people are sensitive to their outdoor environment, appreciate personal service and the attention to detail. I love living in the wine country and feel blessed that we are all in a special place with special people who consider their surroundings and space an important part of themselves. In this video, founder Alan Kostelnik discusses his philosophies and very personal approach to serving his clients in the residential landscape industry. After over 40 years of commercial and residential expertise in all aspects of the the business, Alan Kostelnik is proud to be a Diamond Certified Expert Contributor. As of November 2003, Gardens of the Wine Country earned the prestigious Diamond Certified™ award. The Diamond Certified award is presented only to landscape contractors and other local service companies that rate ‘highest in quality’ in a detailed customer satisfaction study of their customers served during the previous four-year period. Each qualifying company must also pass a license, insurance, complaint status, legal and credit rating (for contractors). To maintain Diamond Certification, on-going American Ratings Corporation customer surveys must be passed on a quarterly basis.